Yesterday was a much needed day for so many people. There has been so much rhetoric and hatred that seemed to have been winning out and leaving a lot of us feeling adrift and shocked. But yesterday was an historic day. It was a day that millions across the world stood up peacefully and said we don’t accept that. The reports today are estimating that nearly 3 million in the US alone showed up which made it the most represented protest in US history. I know it was called the Women’s March but it was inspiring to see that men and children joined in as well and that we are standing up together and rejecting the hate, rejecting the notion that we are going to be dragged backwards. I’m afraid we will for awhile but I hope that we will not be silenced and we will fight to move our rights forward for all. In our little town we had a turnout of about 500 people. It was fabulous, though as I looked round you could see people of my parent’s generation and all I could think was that they must be so irritated they have to march for this again. Signs around the world definitely bore this out. Here are some of my photos of yesterday to share with you. I think if we can keep this positivity and using the carrot instead of the stick we can do so much. Well, except voting. That’s going to be a very big stick. In the middle of tax season starting and standing up for ourselves I am finding time here and there to be creative in the kitchen. Not as much as I’d like but it’s that time of the year! We had great success with the carrots in the garden. They came out massive but very sweet and tender. There was the last large one to use up and because the kids love soup this time of the year I made a carrot ginger soup. There are a lot of recipes out there with orange juice but that would that would make this soup super sweet so I went the savory route. In a saucepan heat up a couple of tablespoons of olive oil. Chop up about half a red onion. You want to end up with a 1/2 cup/4oz or so. 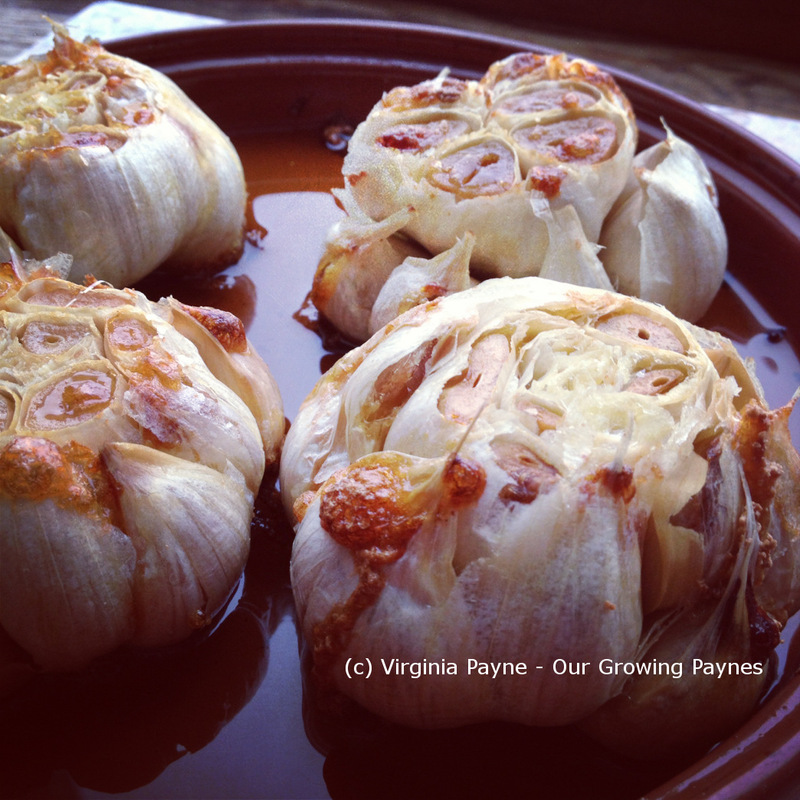 Finely chop a couple of garlic cloves. Begin to saute while you cube the carrot. Obviously if you don’t have a massive carrot, cube 4-6 of them depending on size. Add the carrot to the saucepan. Add enough chicken stock to cover the carrots and bring to a simmer. Grate fresh ginger into the pan. I did about an inch/2.5cm square. Then add a small handful of fresh tarragon. I seasoned this with sea salt and pepper. I wanted a little kick to this so I added a bit of red pepper flakes. Once the carrots are cooked through puree and add back onto the heat. 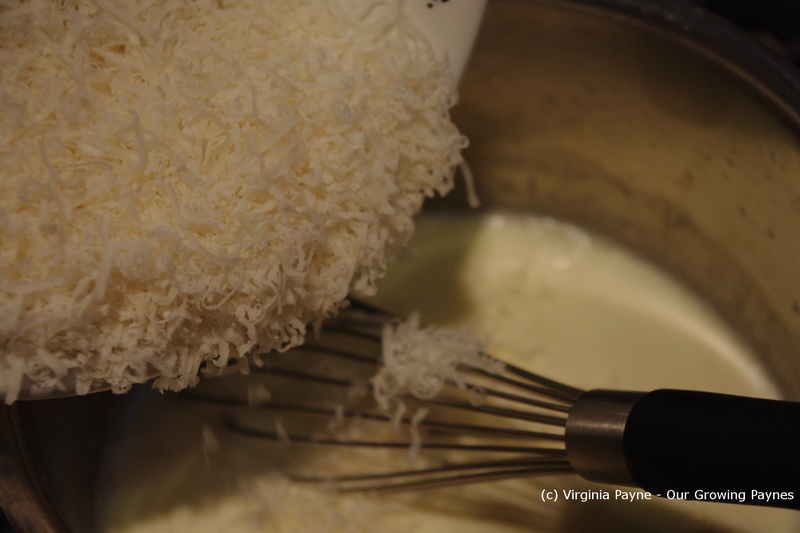 Add a cup of cream and slowing heat that through. Add a dollop of sour cream and enjoy with your favourite bread. I sincerely hope that yesterday is the beginning of hope and positivity where we find our strength to stand up against the drumming of fear. Years ago, when my family had a small manufacturing company, my dad would make a fish chowder for the Christmas party. Once he made it, that was it, I don’t think he was allowed to make anything else. His dish was guaranteed to disappear. I found his recipe that he used because I wanted to make a treat for my visiting in-laws. Of course I couldn’t leave it alone! I had to make it my own. Good thing my dad is used to these kind of shenanigans. It doesn’t mean I wouldn’t scarf down a bowl of his if it magically appeared before me. It would not have a chance to get cold! This is a very easy dish to put together, just make sure you have good quality ingredients. No skimping! I found lovely cuts of salmon and cod at the co-op. You want firm fish for this chowder. I cubed three red skin potatoes and covered with water. Bring the water to a boil and while the potatoes are cooking prep the other ingredients. I chopped half an onion and a couple of cloves of garlic. In a skillet heat up a tablespoon or so of olive oil and begin cooking the onion. Once the onion is translucent add the garlic. 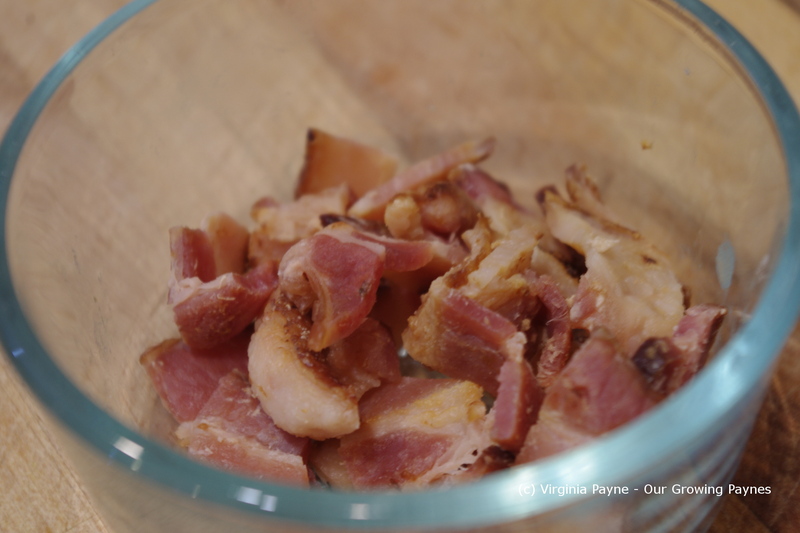 I couldn’t find salt pork so I chose to use pancetta instead. 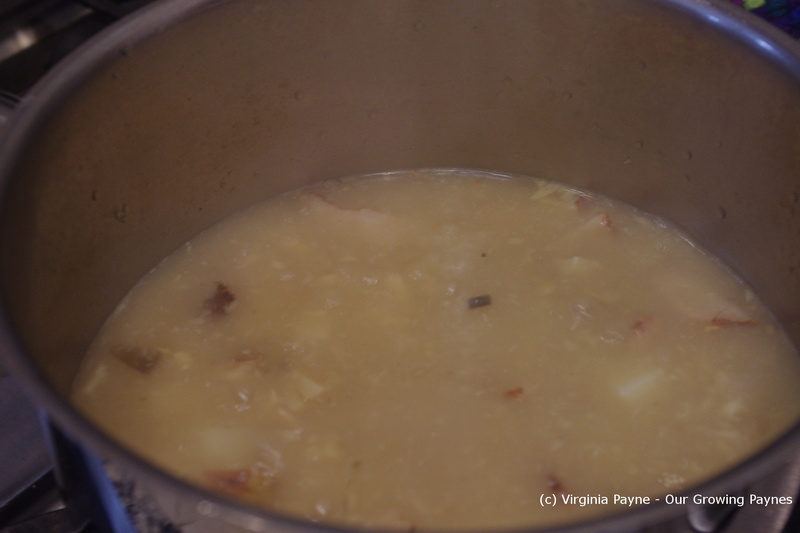 If you find salt pork you do not need a lot otherwise you can overpower the chowder. 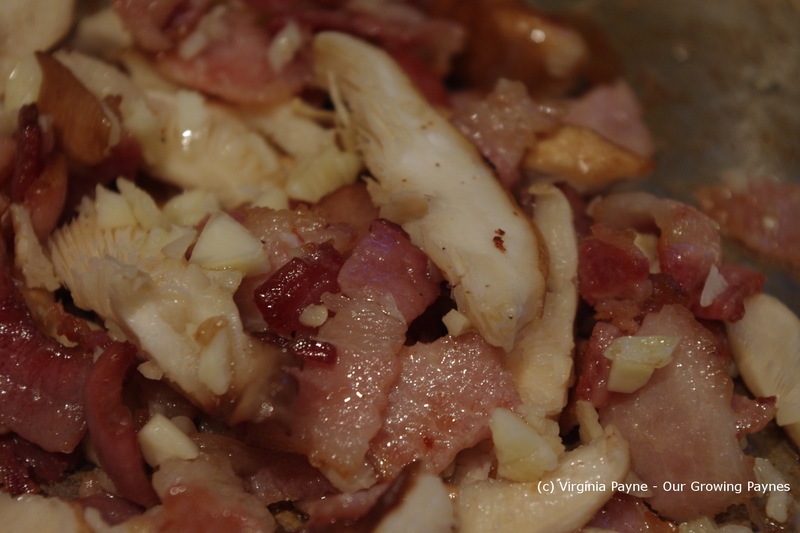 I chopped about 1/2 a cup of pancetta and added it to the skillet. Add a handful of fresh thyme and a 1/2 cup of dry white wine. Cook for a few minutes. Once the potatoes begin to soften add the contents of the skillet to the pot. Cube the fish and add that as well. Add enough water to cover the fish. Don’t bring it to a boil! Slowly cook the fish at a low simmer. It will gradually begin to flake without becoming tough. Season with sea salt and pepper. Add a bit more wine to taste if you need to. 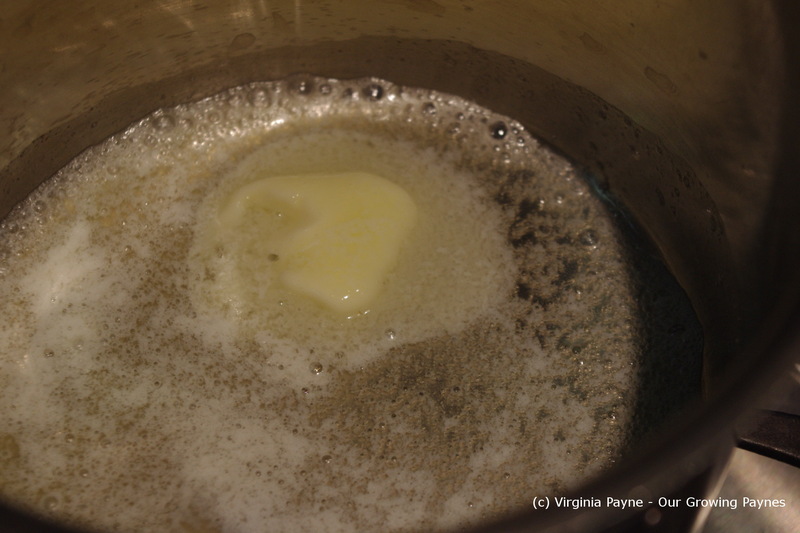 Wait until you are ready to serve before you add a cup of cream and two tablespoons of salted butter. Warm through and serve. My husband made some homemade bread to go with this dish. So good with butter! And it holds up as leftovers. Hallo, hallo, hallo. Been awhile since I’ve sat down and typed something other than tax figures. It’s been crazy working a lot of hours plus I hurt my hip again so an equal amount of hours have been spent horizontal. Boy, does that get boring! I thought I’d complete the injuring myself by slicing my thumb. Does that make me a real chef now? I’m hoping my streak of self-inflicted bad luck is at an end. But this is all peanuts compared to how yesterday went. It ended with my sister being in a terrible accident while skiing. Now she will be all right but she has a good 6-8 weeks to heal. And quite frankly it could have gone in a direction that she wouldn’t be with us anymore. So we are counting our lucky stars she will be fine in the long run. It struck me how closely we skate to the edge. It doesn’t take much. Which brings me to the way the day started. In our town it’s against the law to use skateboards, bicycles, and scooters on the sidewalk. Common sense on why but we’re stuck with the young guys whizzing about. I came out of a shop yesterday and almost got hit by a guy flying on a scooter. As I was thinking that it would really hurt if he knocked me down I see him go flying over the bonnet of a car. The driver was completely shocked, there wasn’t any way she would have seen him. Luckily she wasn’t going very fast as she just turned onto that road. Then he’s complaining about it being the third time being hit! But he wasn’t hurt. This is what drives me crazy. My sister isn’t rash, uses common sense and gets badly hurt. The idiot who is rash, does dumb things, and gets hits repeatedly brushes off and goes about his way. There are times where it’s hard to not think life is grossly unfair. Definitely looking for the luck of the Irish this week. It was just my husband and me for St Patrick’s Day and I wanted to make a special meal in honour of it. Which means no corned beef and cabbage! You’d think that is the only Irish food given the way social media lit up with corned beef and cabbage. And I really don’t like that particular dish so I decided to roast lamb. I took my inspiration from the cookbook The Irish Isle by Sharon O’Connor. Her recipe is called Noisettes of Lambe with Sorrel-Mint Cream Sauce. I chose this before I found out sorrel is impossible to find so I had to adjust a bit. I found a lovely piece of lamb to roast. Pre heat the oven to 425F/220C. In a skillet heat up a few tablespoons of olive oil. Season the lamb with sea salt and pepper. Sear all sides of the lamb. In the roasting pan add a few sprigs of rosemary, a tablespoon of olive oil, and a few splashes of dry white wine. Roast until it is medium rare or until you achieve the desired doneness. Meanwhile in the skillet add about 3/4 cup of chopped onion. Let the onion soften a bit then add a 1/3 cup of the dry white wine, a tablespoon of dry vermouth, and a cup of homemade chicken stock. Bring to a simmer and start reducing. Take a handful of fresh mint and chiffonade into thin strips. Add to the sauce. Allow the sauce to reduce by a third to a half. Once the lamb is finished have it rest for about 10 minutes. Just before the dinner is to be served add about 1/3 cup of heavy cream and the drippings from the roasted lamb to the sauce. Slice the lamb and serve with the sauce. As a treat for my husband I sauteed Brussels sprouts and roasted potatoes to go with the lamb. What a crazy week but we are so grateful that my sister will recover and for all the nuttiness that can happen in life that is the most important bit. 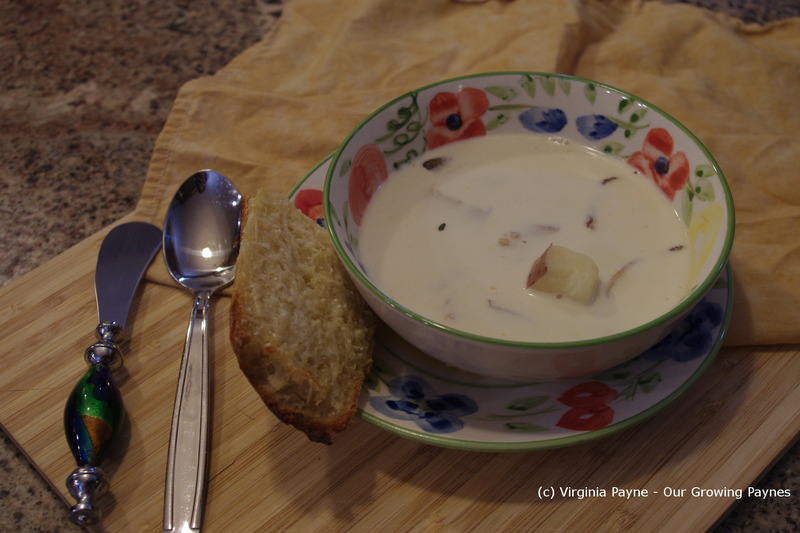 The other day I really wanted to try out the garlic soup in the Mastering the Art of French Cooking. I mean it’s Julia Child, how can you go wrong? A lot wrong apparently. I followed the recipe and ended up with a soup that tasted like boiled water with a bitter aftertaste of parsley. I tried fixing it by adding some stock, dry wine, more garlic. Just couldn’t get it to taste right. But I still wanted garlic soup! On Sunday night it was our daughter’s turn to have a sleepover so we did up roasted garlic and bacon for homemade pizza. An excellent combo! But we had plenty of roasted garlic left over and some bacon so I thought I would give the soup a go. Because some of the ingredients were already prepped it was very easy to throw this soup together. I had about a half a cup of bacon leftover but I think I would want at least a cup next time. In a pot heat up about 3 cups of poultry stock with a couple of potatoes. I used our turkey stock. Bring to a boil for about 10 minutes. In the meantime, chop up the roasted garlic. I used about 2 heads worth. Add that and the bacon to the stock. Boil until the potatoes are soft. Add a couple of teaspoons of fresh thyme and reduce to a simmer. About 15 minutes or so before it is ready to serve add 1 1/2 cups of heavy cream and bring to a simmer but do not boil. Adjust the seasoning with salt and pepper and it is ready to serve. 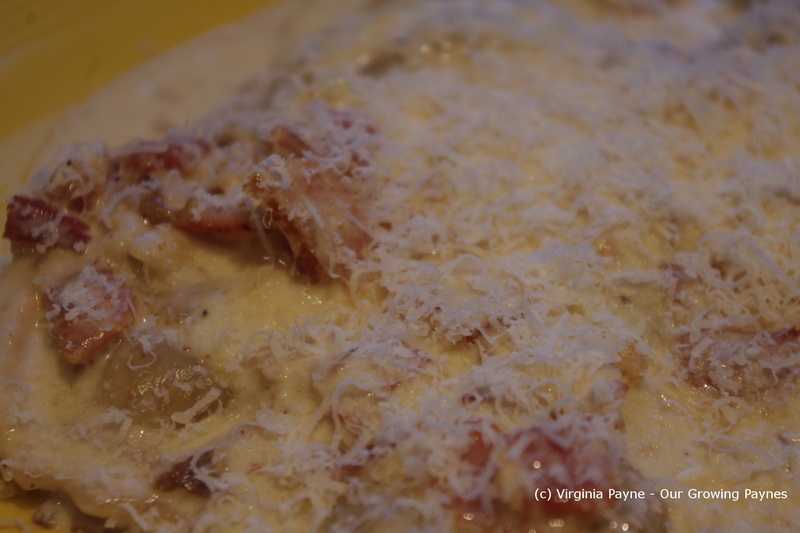 I did up some cheesy toast with parmasean cheese and also grated a bit of the cheese over the soup. A nice stick to your ribs sort of soup.